With an increasing number of prospective clients and consumers on their mobile phones or tablets, it is becoming necessary for websites to change their view literally to improve rankings in searches. Having a mobile-friendly version of websites, not only means that it is easier to view for mobile users, but it also means that the webmasters/owners need to be sure that their sites are indexed specifically for desktop or mobile viewing. While both are preferable, Google, the most used search engine on the Web, states they are perfecting the technology to detect which websites do or do not have a mobile version, and not to worry, the indexing for those who only have desktop versions will not be affected. While this may sound like good news to those businesses who do not have a mobile version of their website, they will be losing out on all those mobile users who do not use the web-version on their phones. That can also mean losing a great deal of revenue. 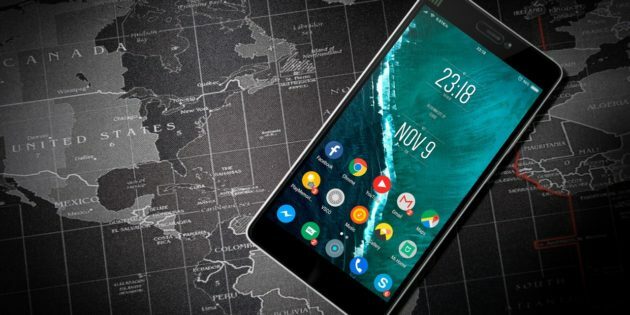 The creation of the mobile-friendly update was inevitable as smartphone leaders such as Samsung and the Apple were designing larger handhelds that are almost the size of small tablets like the iPad mini. People on the move spend more time on their smartphones or tablets than they do their desktops or laptops. Google released their mobile-friendly ranking algorithm in 2015, and web designers and webmasters have been struggling to keep up. So, what can web owners and webmasters do? First, you need to test your web pages with the Mobile-Friendly Test tool. Type or insert your URL into the search link, which will redirect you to a page that will indicate whether your page is mobile friendly or not, but will also show you what it looks like to mobile users. From that page, you will find other resources for additional information. If your web pages are not written using SEO, or if they are, but your site is not mobile friendly, it is now time to make that change. In fact, you are two years late. You will need to customize your website software. If you don’t use content management software like WordPress, then you might need to hire a professional web developer. You will need to check your configuration to ensure you have each of these on both web and mobile views to see if the the URL stays the same and if the HTML stays the same. • Responsive Web-Design – Works the same across all devices. • Separate URLs – Provide different codes for each device with separate URLs. EX: In links received via email accessed on a mobile device, you often see the message that asks if you want the web version. If there is a mobile friendly version, you will be directed there automatically. Google recommends that you make sure links are working, stay updated, that embedded videos work and that you continually run checks of pages to be sure they are working. Failure to perform these steps cost you money, especially if you are the owner of an affiliate site. Also, it is very important that the text associated with links provides accurate information to the mobile user. No one wants to be directed to a site that promises one thing but delivers another. Numerous pop-ups are also very annoying and you will lose views and clicks. When setting keywords, be sure you use words end-users are most likely to employ in a search. Your title most especially should include the keywords or phrase. With smart search technology, it is easier than ever to find what is wanted, but the most important words must be there. When running your business or your life via the Web, rankings are everything. If you sell widgets, you want to make sure your widget is the first to come up in a search. The words you set as your keywords should direct prospective clients to your page. Words like Best, Worst, Most. People use these superlatives because they want the Best or to know what is the Worst, or what is the Most often used widget for performing searches. With the world going mobile, you want to make sure your business is at everyone’s fingertips. If your site is not mobile-friendly, you are losing customers who cannot find you when searching for the Best while sitting at breakfast or riding the subway.